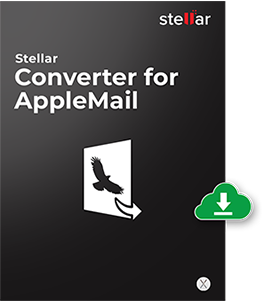 Stellar Converter for AppleMail is an ideal application that migrate Apple Mail ('.EMLX') to Outlook for Mac 2011 '.RGE' file while preserving the integrity and data formats. The software extracts emails from your Apple Mail folders ('Inbox', 'Drafts', 'Sent', and 'Notes') and converts them to a '.RGE' file with their original formatting absolutely intact. This '.RGE' file can be imported into MS Outlook for Mac 2011 and used to access all the converted emails. 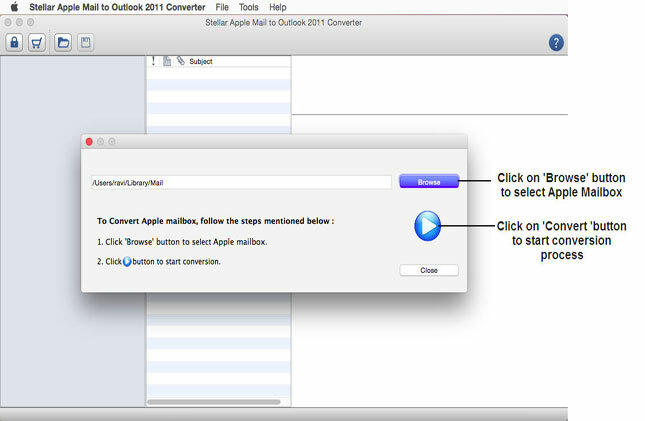 This proficient application lets you to select the folder/mailbox to perform conversion. This module is capable of filtering required folders or mailboxes to initiate conversion instead of migrating entire Apple Mail folder. 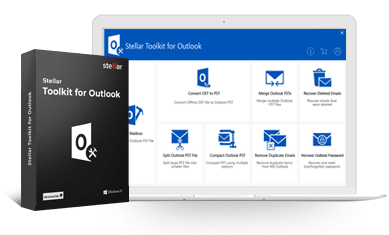 This software has been designed in a way that it allows you to have a clear preview of all the scanned email items before final conversion. This option is useful when you want to have a quick look into the actual converted file result. 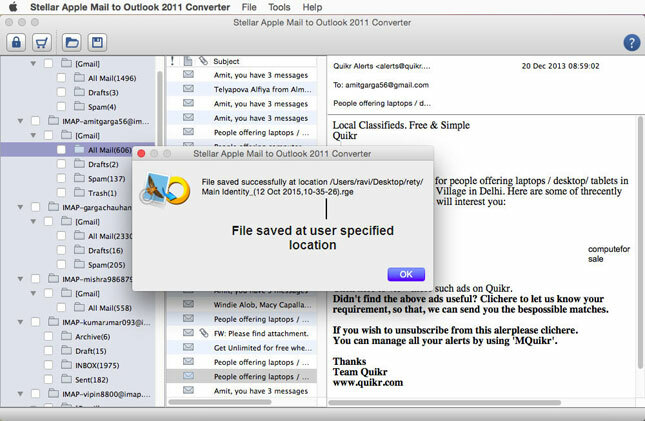 This Apple Mail to Outlook 2011 converter moves all Apple Mail messages without the slightest modification to their formatting and storage hierarchy. During this process, the software also extracts attachments from emails and restores them to the '.RGE' file. 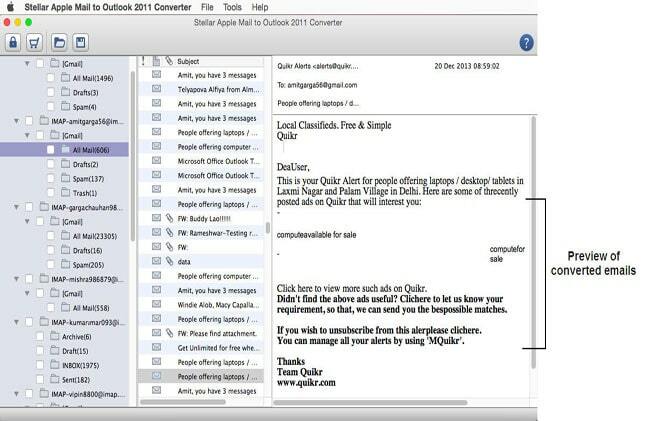 The software follows a user-friendly approach to convert Apple Mail to Outlook. It allows saving the 'RGE' file to a desired location in the system. In addition, you can rename the file according to your convenience prior to saving. The user interface of the software is simple, much interactive and intuitive to offer ease-of-use and enhanced performance. There are instructions for each intermediate step to help you perform smooth and effortless conversion. The software is compatible with Mac OS versions such as Mac OS X El Capitan, Mac OS 10.10 (Yosemite), Mac OS 10.9 (Mavericks), Mac OS 10.8 (Mountain Lion), Mac OS 10.7 (Lion). Que: What is the difference between Demo & Registered Version?